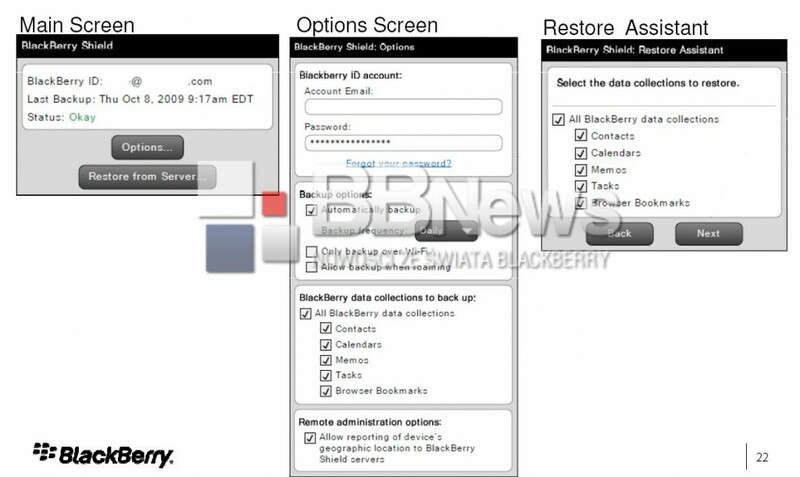 You may recall when we broke the very first details on BlackBerry Shield for BIS back in February 2010. It was only brief information on what we might see. Then we received full specs on what the 'Shield' service was all about. There wasn't any other information on the service and RIM remained hush about it, so many people doubted it would come to fruition. Now, we finally see the very first live images of BlackBerry Shield. Remote Device Wipe - in case of loss of the terminal, just log in to BB Shield to remove all data from the device and / or memory card. 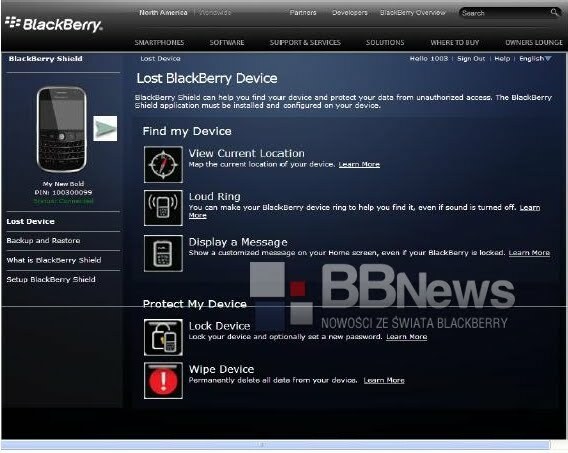 "Lost & Found" Screen - you can customize the sentence on the screen to display that the BlackBerry is lost and show any information about the content (i.e. "take me please"). A loud bell alarm - useful option, even if you've lost your BlackBerry (at home) - once you've activated this option, your BB will 'behave' loud sounding an alarm, which will hopefully prompt a passerby (or yourself) to pick up your lost BlackBerry. Tracking capability - based on the GSM transmitters and / or GPS position that is constantly monitored in the BlackBerry unit, and there may be the possibility of seeing it on the map (like Google Maps) from the BB Shield dashboard. Will you use BlackBerry Shield once it is released?